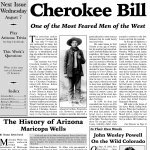 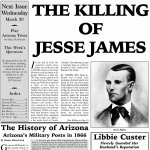 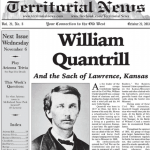 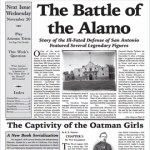 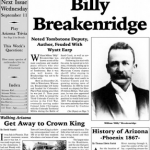 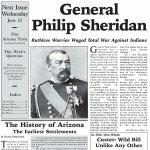 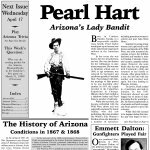 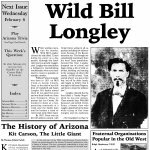 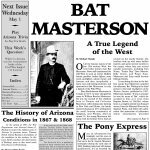 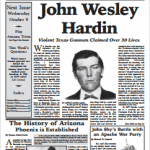 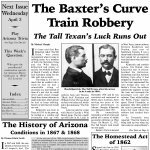 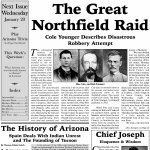 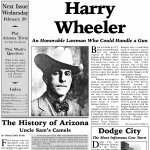 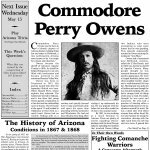 Many of our customers who visit Arizona and read the Territorial News enjoy the old west article’s so much they always ask about our past issues. 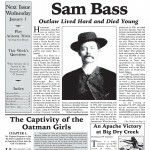 All past volumes are available online only $19.95! 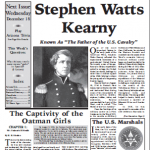 Click below to order Volumes by Mail and receive free shipping! 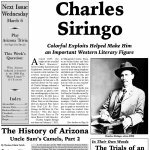 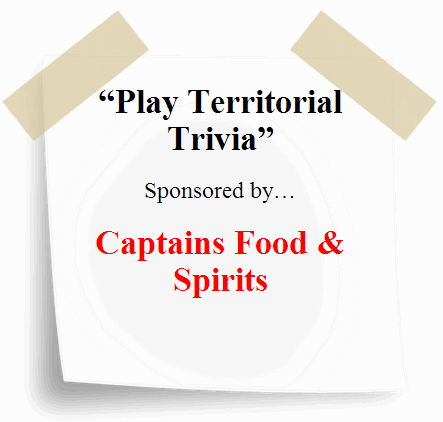 Mystery of Sheriff Henry Plumber, The Baron Of Arizona, The Oregon Trail, Jim Harvey Web of Time, 125 years ago in the Wild West, The Homestead Act, Light Mail Coach, Frontier Courts and Jails, Railroads Bridged the Continent, Joe Six Pack, From the Chuck Wagon, Thanksgiving Trivia. 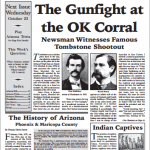 John Selman gunned down John Wesley Hardin, Cattlemen and Sheepmen clashed on the range, Smallpox decimated Native population, Jim Harvey Web of Time, Thompson Brothers find trouble in Ellsworth, The Populist party’s Ignatius Donnelly, Expansionist Policies swept Polk to the Presidency, Is there buried loot near Columbus ,New Mexico? 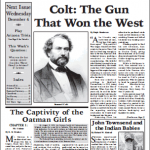 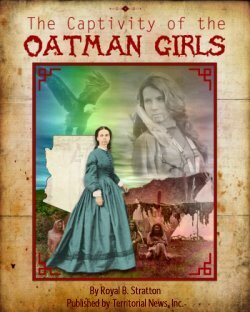 Killin Jim Miller, in their own words A Day on the Oregon Trail, Thomas Hart Benton & manifest Destiny, Jim Harvey Web of Time, Gambling a way of life for settlers and Indians alike, Central City Colorado, 125 years ago in the Wild West. 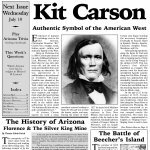 Kit Carson American Frontiersman, The Texas Santa Fe Expedition, Floods and Drought tormented Californians, Arizona Web of Time, Improved Cattle cars saved time and money, Joe Six Pack, 125 years ago in the Wild West, Come and Get it! 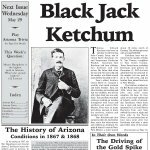 Heck Thomas, legendary lawman, Buffalo Bill on Indian fighting and Buffalo killing, The Coronado exploration and the Superstition Mountains (Elwood Kuhens), Sagas of the Thundergods Mountain #8 (search for the 7 cities of Cibola), Jim Harvey the Arizona Trail, Goldfield Gossip, a cowboy’s tools, Crazy Horse, great war chief of the Oglala Sioux, El Paso’s fort Bliss, some old west quotes.